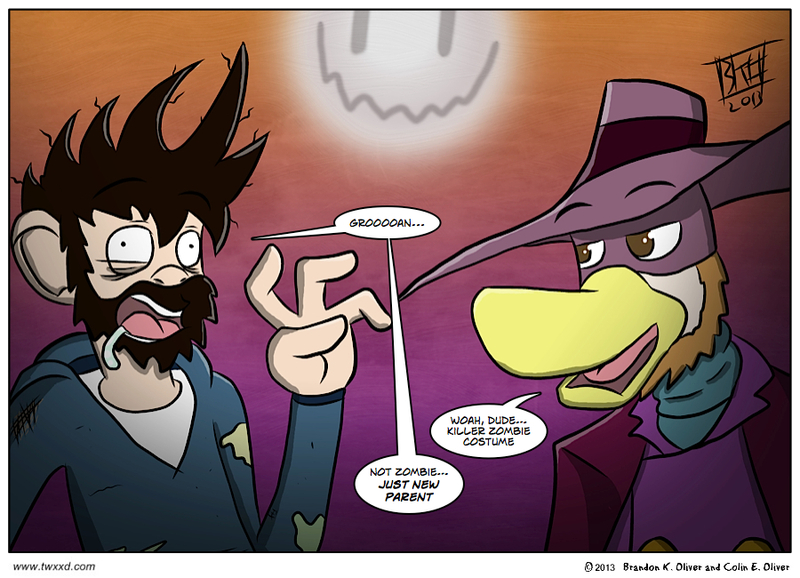 Today, a brief intermission in the awesome guest comics to bring you a fitting Halloween strip drawn by a very tired young man. Next week I’ll have a TWT for you (part 2 of The Contract! ), and then we’ve got a few more amazing guest comics from amazing people. Excitement! Dawn of the Dad! Haha, love Edward’s costume!